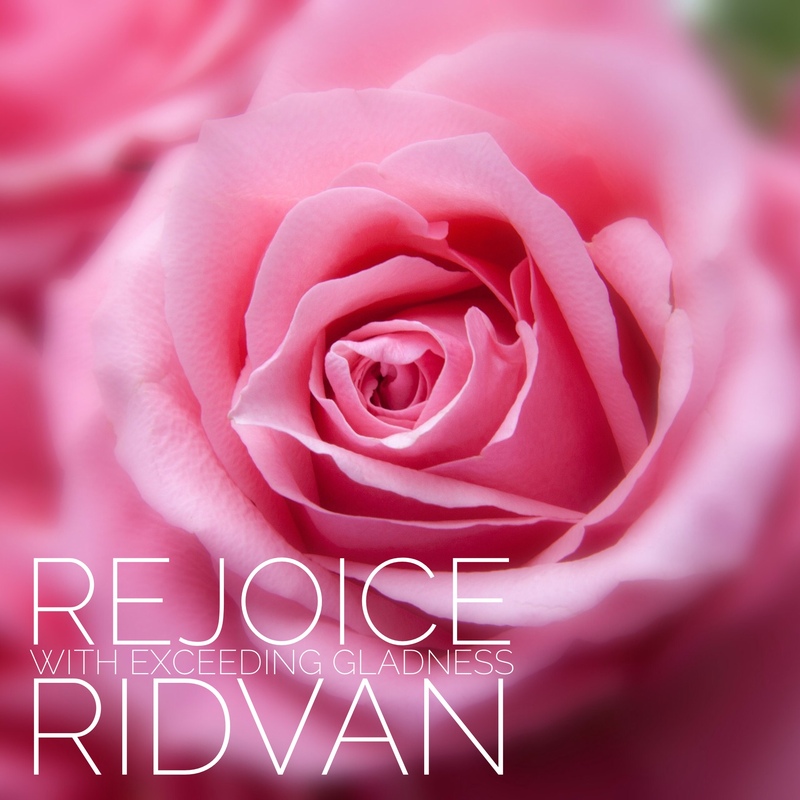 A few years ago I released a song titled, ‘Rejoice with Exceeding Gladness’ – in honor of the Festival of Ridvan. 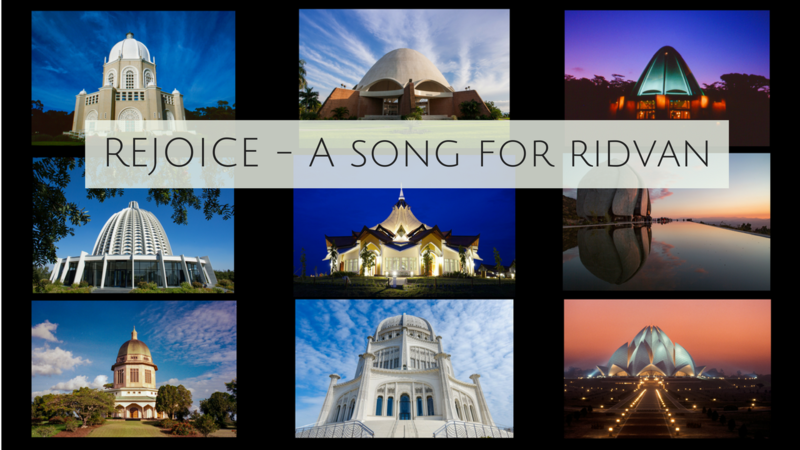 I found a beautiful quotation revealed by Bahá’u’lláh for Ridvan and asked six friends around the world to sing it in six different languages representing all continents (except Antartica!). Each verse is followed by the chorus of ‘Allah’u’Abha’ where everyone can join in. Last year I had the pleasure of making a slideshow with photos of the Ridvan garden to accompany all 11 languages for communities around the world to enjoy (see below). The song is a gift to you (please feel free to share it). Even though the link says ‘Buy Now’ on the website you can download it as a gift (just enter 0 in the amount). As there were production costs, there is an option for donation. Just enter whatever amount you wish. Here is the link to download the song in different languages. There are also instrumental versions of each language available so that communities can sing with the backtrack. I would like to thank all the friends who were a part of this project and who graciously recorded their voices so that these songs could be shared and downloaded as gifts for you! The video links in each language are all below. There are now individual tracks available of the Ridvan song (shortened versions) in each language. Click here for more info and to download the individual songs & instrumental version. Below are the individual videos for each language for the Ridvan song. A special thanks Larry Magee who played the guitars and to Jarome Matthew for editing all the languages and making sure they were mixed and mastered professionally. I’m also extremely grateful to Adeeb Afshar for sharing several of his beautiful photos from the Ridvan garden and also Shira Trick for her lovely video of the fountain. If you listen closely at the end, you can hear a slight trickle of the water flowing from the fountain. Thank you Sally. So glad you are enjoying it.